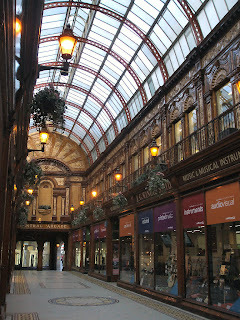 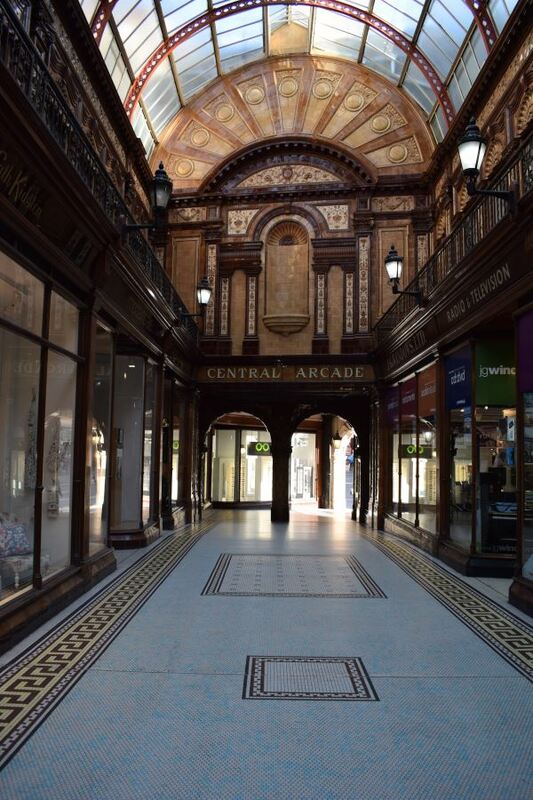 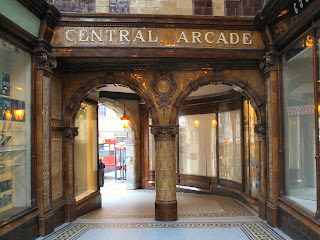 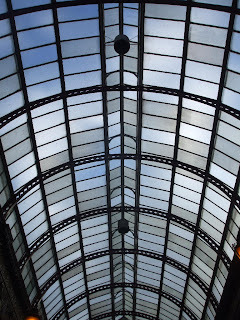 The Central Arcade is part of the triple-domed Central Exchange Building which was built in 1837 for Richard Grainger. 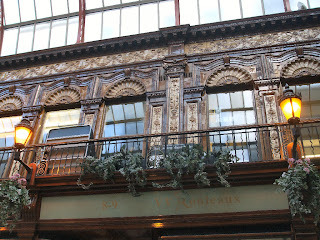 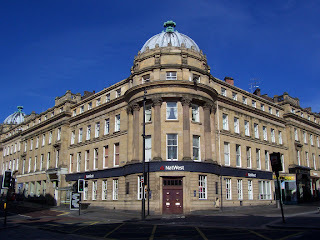 It was originally a commercial exchange and newsroom and later an art gallery. 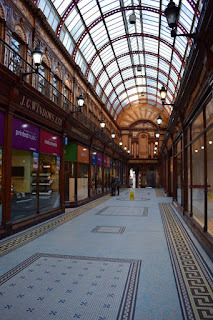 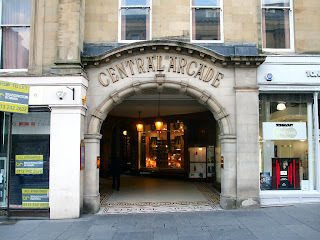 It was rebuilt in 1906 after a fire, at which time the present Central Arcade was formed to cut through from Grey St to Market St with a link to Grainger St. 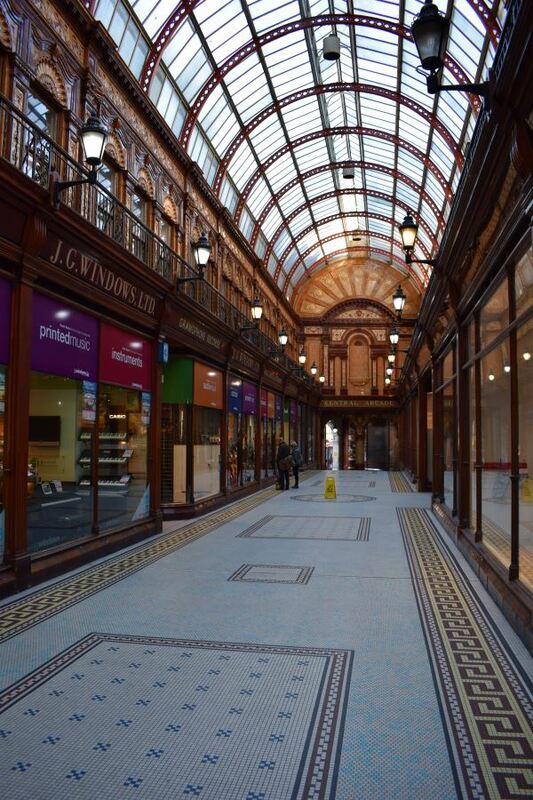 Under its glass barrel-vaulted roof, the glorious tile work is a joy to behold. 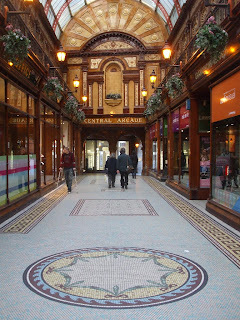 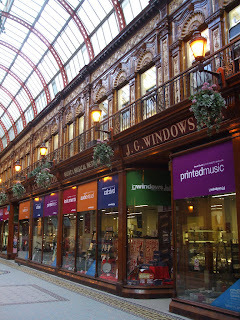 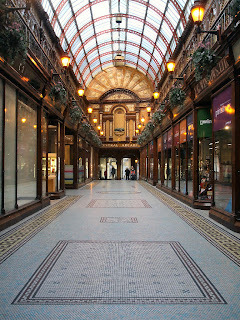 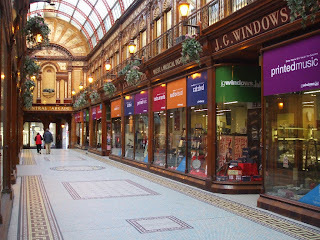 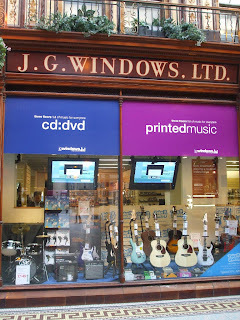 Today the Arcade houses a number of retail outlets and also the Newcastle Tourist Information Centre.